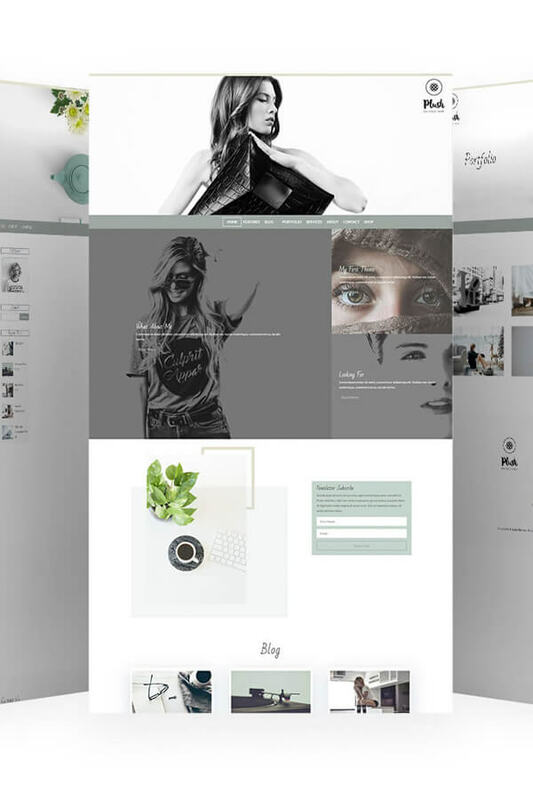 Plush Femenine Divi Child Theme is a modern, sophisticated and elegant WordPress theme designed for you to create your own gorgeous and eye-catchingwith feminine website. Minimalist style makes it especially well-suited for photographers, bloggers, creatives. This WordPress theme based on Divi Theme from is packed with all the required features, options, as well as homepage convenient sections for showing off posts, products, portfolio items. This theme is compatible with self-hosted WordPress.org only. You must have domain name and Hosting. It will not work on WordPress.com. You can use it as a website, eCommerce, blog, portfolio or a combination. You can customize the theme to your liking, with its powerful customizer. – Documentation of how to install the Demo. – One click demo import. – Preloader, make more attractive your pages load.